Everyone who is dealing with data analysis has come into a situation to have data collected in separate documents. If you want to compare data you collected, it would be easier if you can compile the data together. The only way to do that is to merge files, to make one file out of multiple files. Luckily there are tools that merge files and since PDF is the most popular file format, most tools usually merge PDF files only. So, data analysis becomes more efficient if you merge PDF documents together. But what if you are away from your computer and you need to merge files? In that case, you can rely on mobile devices, smartphones and tablets. They are remote and easily accessible. First download PDF Merge and open the PDF file you wish to merge. You can open your PDF in any regular PDF reader, Gmail, Google Drive, Dropbox and any other app you use for storing PDF files. Tap on the share button or the Open in menu and access the app by tapping on Copy to PDF Merge icon. Another way to merge PDF files is via the app directly. 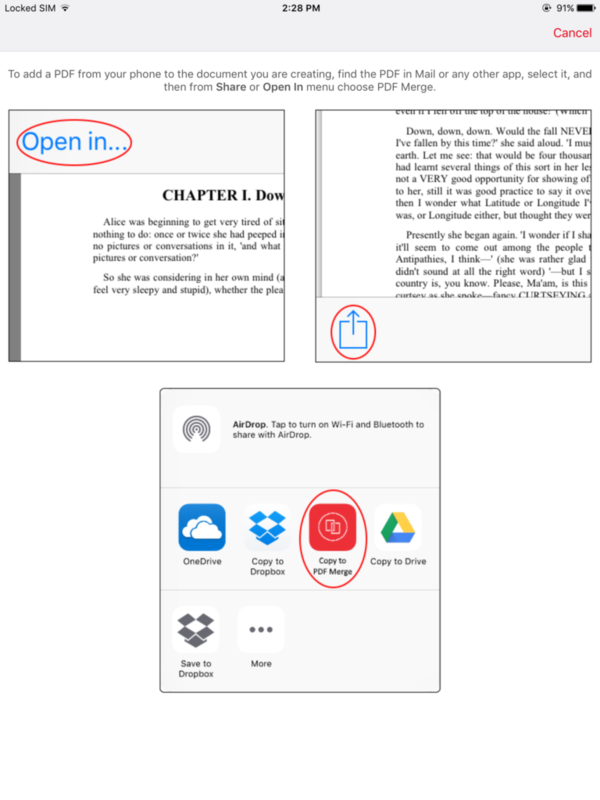 Open the app and tap on the button Tap to Create New Merged PDF. Than add a PDF document by tapping on some of these buttons: Phone, Gmail, Google Drive, Dropbox, Box, OneDrive, depending on the location of your PDF file. You need to add at least two files to be merged but you can also add more. You can rename merge PDF files, share them with others or move them to any other app you like. The files are merged on Cometdocs servers so the whole process will not drain your battery. Files are deleted from the servers the same day so you don’t need to worry about the privacy. If you are an Android user, head to Google Play store to install PDF Merge for free. Start the app and tap on + button to choose PDF files you wish to merge. You need to select at least 2 files. Tap on this icon to merge files. If you want to use an app for free, there is a waiting time for merging files. It takes about one hour to get a new merged file, and it depends on the size of those files that are being merged, as well as your internet connection. You can merge as many files as you want, there are no limits whatsoever.